Château Élan, Fernbank Museum of Natural History, Road Atlanta, Lanier National Speedway, and Masterpiece Mixers Paint and Party Studio all have one thing in common, Braselton, Georgia. Château Élan is famous for being a ritzy, high class, hotel that comes complete with a private golf course, a spa, and many more of the finer things in life. The Fernbank Museum of Natural History is more of a family retreat that has the options of an IMAX movie, a bird walk and other outdoorsy things, and many other things that pertain to the natural environment and our planet as a whole. Road Atlanta is a road course located in Braselton, Georgia that attracts race fans from all over the state and the country. There are different types of car classes that race here as well as motorcycles. Lanier National Speedway is the track course that also attracts racers from all over the state and country. Different classes of cars are run on this track. An attraction that draws in a more artsy crowd is the Mixers Paint and Party Studio. This is a fun art class that provides the canvas, paint, and brushes and all you have to supply is yourself, friends if wanted, and beverages and snacks if desired. There will be a professional art teacher who will give you step-by-step instructions on creating a masterpiece that you can take home at the end of the class. Braselton, Georgia has a little bit of everything for everyone! Now, you may be asking yourself, “What does everything listed above have in common other than Braselton, Georgia?” If you own a driver’s license and consume alcohol, there is one major thing that all these attractions have in common that has a negative side to it, and that is a DUI charge. If you get arrested for DUI in Braselton, Georgia, you want a local attorney who is familiar with the area, government, government officials, and constantly changing local law. That is just what the attorneys at McDonald and Cody have built in their resumes as well as years of experience and a winning streak that is sure to impress. McDonald and Cody, LLC has an award winning staff that has literally won hundreds of DUI cases, as well as cases that pertain to traffic violations. Our experienced team of attorneys will work diligently to bring you the justice you deserve. They have an impressive track record with the Braselton Municipal Court and, with them handling your case, you will never have to worry about a surprise occurring. You can rest assured that your case is in the best hands that it could possibly be in and will be handled properly and professionally. The criminal defense attorney Sam Sliger will make sure that all your legal needs are satisfied. 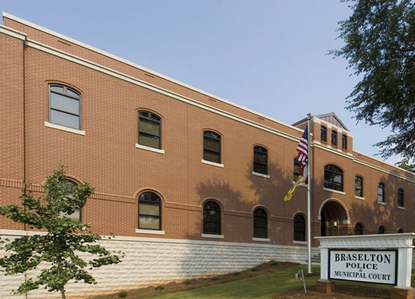 Along with the hard working ethics Sam will put into your case, he puts those same hard working ethics into developing the relationships that the firm has with the Braselton Municipal Court personnel in Jackson County, Georgia. If your ticket is in the city of Braselton then it will be before the Honorable Judge Graham McKinnon IV. The city clerk is Dawn Farris and the address and telephone number to the courthouse are as followed: 4982 Georgia 53, Braselton, Georgia 10517 and (706) 658-3915. The Chief of Police is Terry Esco and the address and telephone number to the jail are as followed: 5040 Georgia 53, Braselton, Georgia 10517 and (706) 658-2852.